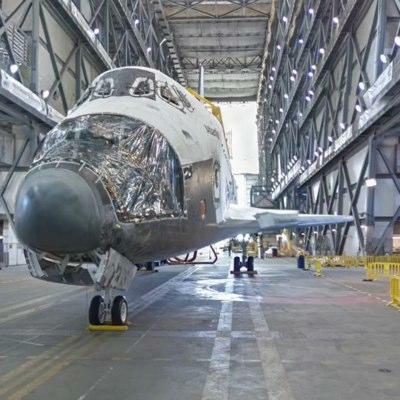 It has been 50 years since Kennedy Space Center opened its doors to assist in the space race, and Google is using Street View to help it celebrate in style. Google announced this morning that it has added Street View images for the famous space launch facility, and it released the video above to give you an idea of some of the things you will see. Of note, the images are definitely dated a bit as both Space Shuttles Atlantis and Endeavour were still in NASA's Vehicle Assembly Building, but that is perfectly okay as it is allowing you into areas of the facility that normally visitors aren't allowed to see. I toured Kennedy Space Center shortly after the beginning of the Shuttle program, and it was an amazing place to see then, and it's just as much fun to look at it now. And fun note: In the Street View embed below, take note the little yellow guy is wearing a space suit … awesome.